We finally got a chance to catch up on our favorite variety show of the moment. This episode is filled with a lot of singing and a lot of rain. This episode is also the last one with our current group of travelers, there will be an entire new batch in the episodes coming up. One is even a foreigner who doesn’t look like he speaks Korean all that well. 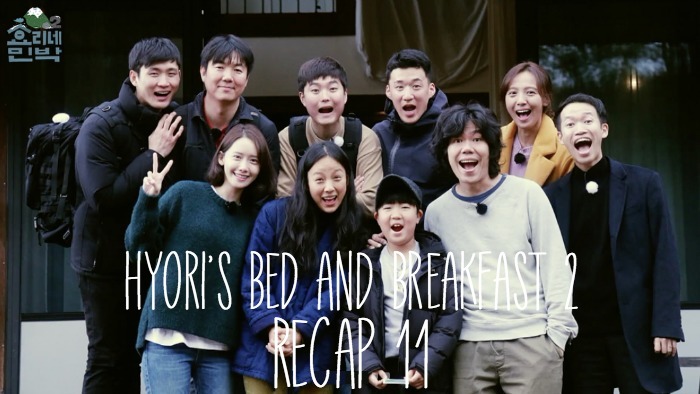 We were going to live recap the short drama Exit, but we decided that it is probably best to catch up on all the Hyori Bed and Breakfast episode’s we missed (Oodbyegay to the xitey). We have three to catch up on, so hopefully we can get caught up this week. Today even? Quick Recap. The wedding couple drives around to find a nice photographic place, the husband son team watch birds passionately, and three new customers come who are all professional soldiers. The soldiers want to visit Halla mountain. They eat kimbap, sit in the sauna, and talk about a yoga class. Hyori tells them that most of their customers wanted to go to Halla mountain, but it was too windy. The alarm goes off. Sang-soon wakes up and pops up. He covers Hyori with more blankets and goes out quietly. it is a gorgeous day. the father and son are all cutely cuddled in bed together. the other customers are also asleep. Yoona wakes up and goes to work. The song says, “You are so pretty pretty pretty, why don’t you believe me.” Yoona gets to work, the engaged couple wakes up. Yoona tells SS, hello, quietly. SS says he never made kimbap, his mother had a kimbap restaurant so he never learned how to make it (maybe it was always available). Yoona has a kimbap mold to use. it is a square kimbap that is best for spam kimbap The round mold is best for veggie kimbap. SS is amazed and thinks Yoona does everything well. He says the last time Hyori used the rice cooker was three months ago. Hyori walks in and gives SS a look like, don’t talk about me. She sits at the table and reads the note that the special forces guys wrote her. They woke up super early to climb Halla mountain to make their own kimbap that Hyori taught them how to make. They also made some for the guests. Little Note: Making kimbap is not easy, but you helped us so we made delicious kimbap and are headed to Halla mountain, have a good day. Gorgeous shots of Halla mountain. it has a lake on the top of it and is the highest mountain in South Korea at 1,900 meters. the special forces group makes it. They are amazed, they didn’t expect that much. They take a selfie in front of the huge tourist sign and head off. The couple has woken up and sits at the table. The woman says she does color therapy to better diagnose people mind and treat them. Hyori says she likes black and grey. Her appa always told her she was a grey person. She wore a lot of black and grey when she was in FINKL and solo. After quitting, she feels more relaxed and starts to wear more clothing with color. Is that also a change in mind? The woman says black absorbs all the color, so she wanted to hide herself. Now she feels more relaxed so she starts to accept color when she came here because she has a happy life. Your heart has a lot of feelings of happiness. It is raining in all of Jeju. Yoona makes breakfast. She has a machine that cuts spam into perfect sections. She pan fries it for ham kimbap and they are also making veggie kimbap. Yoona uses her special tool to make the square kimbap for ham and they use the rolled one for veggie kimbap. Yoona cuts the ham kimbap and veggie kimbap into bite-sized pieces and puts them on the table for the guests. Everyone wonders what the hiking people are doing in all this rain. Hyori tells them that she once had yoga with people/students. It was her first time having students and she felt so much pressure. She didn’t want to show herself as imperfect so she didn’t show her a pose that she couldn’t do well. She asks the father if he had moments like that. For instance, he can’t get drunk and sleep on the street as a teacher. The teacher says, well….you shouldn’t do that even if you are not a teacher. Everyone laughs. He says he has to live far away from the school so his kids don’t’ see him. He doesn’t want to see his kids while taking out the trash or at the public bath, it would be awkward. So that is why he lives far away. Everyone starts to eat a lot. The little boy tries to put the entire square kimbap in his mouth, his father tells him he has to bite/cut it. Afterward, the couple wants to wash. Yoona ends up washing with the groom and they talk about how they are the same age. Yoona says they don’t have to speak in jongdaemal to each other. He is all like, really? The teacher says that Yoona and the groom became friends. They keep laughing and talking about their ages. What does Yoona want to do in her 29th year? 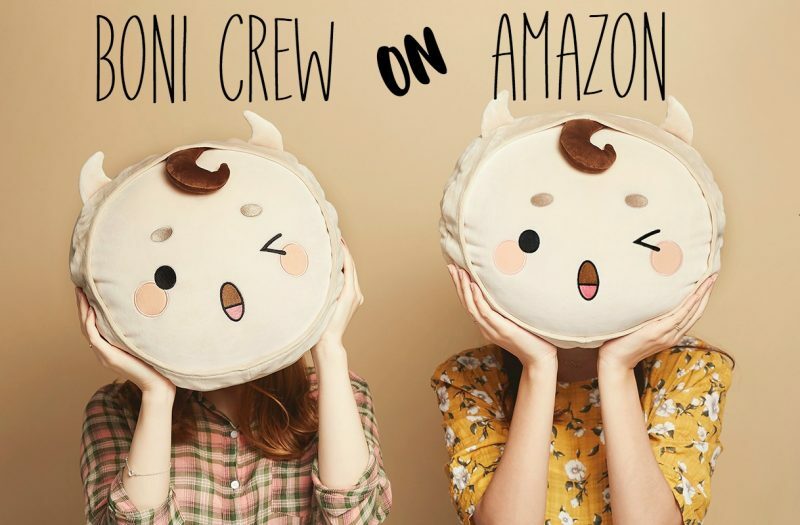 She says she wants to spend time relaxing and only be Im Yoona. He is the opposite. He got his job late, so he wants to make a lot of money right now. She says he will have more experience now that he has his job so late. If he got it too early, he would have less experience. He says that is good, they are still growing. Yoona says that all 29-year-old people think the same and that it is nice to talk to another 29-year-old in another field. The other guests head out and say goodbye as they go out on their adventures for the day. The special forces guys are in a snow covered forest on the mountain. One of them mentions that they should step in a special way so they don’t fall. But the other ones are all like, just look at me and be quiet and keep walking. Sang-soon gave all the men some of his clothing to wear like a waterproof jacket for one of them. They are thankful for that. They get to the last emergency shelter and decide to eat their kimbap. They are pretty tired after three hours of hiking so the kimbap tastes so good to them. they head out again in the rain that turns into snow that turns into hail. It is crazy windy as they get to the top and looks like the Himalayas, but they cheer each other up by saying, fighting! they make it to the top and take photos, but the weather is so much like a blizzard so they can’t really see anything. They try to look at the lake, but they can’t see anything due to the weather. They are still in a happy mood though and take a very nice photo of the three of them at the top. Employees only at home. It is a lazy day as they stay inside and listen to the rain. Hyori and Sang-soon lay on the floor and start to practice couple yoga. Their yoga music starts to play as Hyori coaches Sang-soon in a pose. SS gives up and checks his phone on the couch. Yoona comes in and tries to do the yoga move where you put your feet over your head and onto the floor. Yoona stops early and stretches. Hyori playfully jokes that they are all weak. SS grumbles that it was hard so they stopped. Yoona decides to go home but turns on the sauna for them before she leaves. Yoona also wonders if the Halla Mountain people are okay. She walks home with an umbrella and is happy with her unexpected free time. Hyori and SS mention that they haven’t had alone time in a while. Perhaps they should take a nap after they spend time in the tub. SS goes outside and puts up a parasol for the two of them so they don’t get wet outside. SS adds a log so the parasol won’t blow away and goes inside. SS tells Hyori that the tub is very good, he made it perfect for them. But outside, the parasol blows away. SS sets it back up and Hyori gushes at how perfect it is. She likes it a lot, it’s nice and cozy. They sit outside and enjoy the rain while in the sauna. The caption mentions that their romance grows as they sit outside in the rain. Hyori moves outside so the rain hits her, she likes it better out there because she is free! Come out here oppa! But Oppa likes it under the parasol. Hyori mentions that they are so different. It starts raining even more. SS tells her to come under the parasol, but Hyori is basking in all the rain pouring down on her. Cut to Yoona taking a nap and SS & Hyori enjoying their couple time in the sauna. Hyori back hugs SS and then shuffles him from left to right. he is all like, can’t you just leave me alone? But he is laughing. Later, they both go inside and SS lets Hyori take a shower first. Yoona comes back and is greeted by Gwana and the other dog friends. She starts singing a song. The song is FINKL Blue Rain, 1998. Hyori says as much which make Yoona wonder how she knows that. Hyori tells her she sees everything and knows everything. Bu Hyori says this from upstairs. Hyori starts to sing the song along with Yoona. then she starts to flip her hair as she sings (she has to!). She bounces up and down as she sings, she starts to really get into it, but then she starts to lip sing the really high part because it is other members part (Ok Joo-hyun). SS laughs. Hyori is so into it, so she gets the norebang mic out and calls her Ok Jo Hyun to sing the high part. Joo-hyun laughs. They get on face time together and laugh and joke for a moment about lots of things. Cold noodles, when Hyori is about to visit her, it’s raining a lot, she wants to sing blue rain with Yoona, they can’t sing the high part…. Hyori starts to play the song so the three of them can sing it together. SS shoots the movie as they start singing. Everyone sings their individual part. It gets to the high part and Joo-hyun starts singing it. They are really into singing this song. Or I should say Hyori is really into it. But Hyori kind of forgets the lyrics and Joo-hyun picks them up for her. They finish with Joo-hyun finishing up the lyrics and Hyori telling her that she is great, she will see her in Seoul. Hyori thinks it is so funny to call someone and make them sing. The special forces men text them for a bath so SS starts to prepare it. When he goes back inside he sees that Hyori is preparing another norebang song. She asks him if he would like to prepare something. She starts to prepare, Lee Moon Sae – A Girl. The song lyrics are …stay here, don’t leave. So Hyori asks him if he is singing that to Yoona. The special forces team is back triumphantly after conquering Halla Mountain. Yoona stands outside and picks her song on the norebang. It is “The One I Can’t Have” she starts singing it outside for fun. SS checks on her and Yoona laughs. SS goes back inside and says that Yoona might take the norebang microphone. Hyori is all like, no way, no way, no way! Hyori goes outside and sings with Yoona. SS puts the parasol up for the team. Yoona keeps singing. her list of songs is very long. SS wonders if Yoona is okay. Hyori and SS sneak peek her and wonder what she is doing. She is really just pacing outside and singing. Hyori thinks Yoona went crazy, she playfully says she worries about her. Yoona finally runs inside and starts singing in front of Hyori and SS at the table. The caption says the deer stormed into the house, lol. Flashback to last night when Hyori and Yoona sat in the sauna with the special forces team. Hyori was thinking about this. Hyori and Yoona decide to sing the song to the Special Forces team but they have to do the dance. one of the guys stands up right away and starts to do the dance. Yoona is really good at the dance. The special force team looks so adorable in their awkwardness as they do the dance too. Afterward, the special forces guys hide right away. Hyori tells them that they muscles popped out a lot when they danced, she saw their back muscles! Hyori goes back inside and the team laughs about the fun they just had. Yoona keeps playing with the norebang with Mimi as Hyori and SS leave to the grocery store for dinner. The son and father go to a Lego museum and walk around to all the various Lego sculptures. They all look really great, especially a cherry blossom one that has 35,000 pieces. The future married couple goes to a museum. It is an art museum that has a mixture of modern art and traditional art. They basically just relax at this museum while it rains outside. It is still raining. The lights turn on at the meenbak with the special forces team outside enjoying the sauna. Yoona spends time writing at the kitchen table. Then the doorbell rings. The appa-son couple comes back in. But a strange bird comes in as well. The father says it is a gwong (this bird was in Little House in the Forest!). He asks his son if he knows of the Gwong. The father-son couple brought chicken for dinner for everyone. The special forces team comes in so Yoona cleans floor behind them. The father wants to help her but Yoona says it is okay, they can take a break. Hyori and SS come back around that time as well. They bring the groceries in. The couple comes back as well. They brought a cake with them. it will be a big dinner feast at the meenbak with all this food. Hyori starts to make Black pork Samgyupsal and prepares the rice. She also fries the kimchi to eat with it. So they have Samgyupsal, rice, kimchi, fried chicken, sashimi, lots of lettuce, makgoli, cider (for the son). They cheers. The guests ask Yoona if she is sunbae now and she says she is a big sunbae now, a lot of hubaes bow to her. Hyori says she really hates that now, she wants to be a hubae, but she is a sunbae. Yoona already debut 12 years ago, so she is a big sunbae too. Yoona says she feels strange because young girl groups start to sing their songs so it makes her feel weird that they are already doing that. Hyori says she must be Superior Gocham (Military word for the same level person who is the highest rank, like 5-star general or 5-star corporal instead of a one-star general or corporal). Time to clean the dishes. The couple volunteers and gets to work. Yoona and SS decide to make a Japanese home cooking menu. Afterward, everyone sits at the table again to eat an after meal snack. Hyori gives the couple a present, it is a drawing of them that she made. They are so touched by it. This is the first time someone gave them any drawing because they always give a drawing to others (they are art students). They tell him that he should frame it but the groom says he has to make a hole and build it into their home, lol. Hyori is sleepy so her and SS get up from the table. Hyori tells them they can use their norebang. SS says, after using it, they can throw it away in the trashcan, lol! He really does not like that norebang. SS walks Yoona out. Everyone checks out tomorrow and talks about that. The groom says that they should think about today and not tomorrow. they don’t feel like they had a big vacation, but they all fell happy. Everyone wakes up early and starts preparing to leave. Hyori and Sang-soon wake up super late so SS hustles over to the meenbak to feed everyone. He and Hyori feed all the animals and also prepare breakfast for the guests. Yoona is not there yet, she is still asleep. Hyori calls her and wakes her up with the phone call. Yoona is so embarrassed and runs around her place getting ready. At the meenbak, Hyori prepares a yoga class for everyone. The special forces team is so inflexible. The groom is very flexible though. Hyori takes them through several exercises. Cut to Yoona running full blast up the lane to the house. Once inside she apologizes and gets to work in the kitchen while everyone continues their yoga class. One of the special forces guys can do a headstand which impresses everyone. In the kitchen, SS prepares salmon and Yoona makes green tea water soup. The artists give Hyori and SS a gift. They drew all of their animals and their drawings look amazing. They also drew Hyori and SS together. They apologize for the skill level because they haven’t drawn anything in awhile but Hyori tells them that the effort is really wonderful. Hyori tells SS that they drew his face as the size of his heart (his heart is big, not his face is big). The artist couple drew all of these overnight last night. In the Kitchen, Hyori does a Girls Generation dance “Tell Me Your Wish” while Yoona and SS prepare. The little boy helps them set the table. The meal is rice with fish on top of the rice and green tea soup poured into the bowl. They all start eating and comment on how it looks like a Japanese meal. Hyori tells them it tastes good with pineapple. Everyone sits and eats. Back in the Kitchen, Hyori gets on SS’s back as she looks for a tea bag. Yoona finds it for her. Hyori laughs and starts to sing and dance to a song (“I can’t give up on you until the end”). SS leaves, lol. Yoona starts making waffles while the customers clean their respective areas. The sun shines as they all eat. The doors are opened and everyone comments on how it is the first time they can open the door in a long time. Yoona comments on how big the hands on one of the special forces are. His last name is Joo so his nickname is Joo Da-ko – everything is big. His hand is the same size as Sang Soon’s so SS says he is Lee Da-ko. The special forces give the meenbak owners/employees military shirt with the names on them and then it is time to take photos. The special forces people say that they always stand in the same position since High school. The couple takes a kissing photo with Hyori goading them on. Then each group gets a chance to take photos with the meenbak people and then they take a group photo. Afterward, they all joke about how it is time to go back to reality. Hyori says they should go to their wedding and the couple says they will invite them all. Everyone drives off with Midal running after them. Hyori says Mocha misses them and the camera cuts to a very cute Mocha looking out the window. Cut to an image of the fireplace burning. Then to images of Springtime in Jeju. A gorgeous song starts to play as we see all of these springtime images around the meenbak. The three ride bikes around the Juju coast and sit at on rocks at the beach. The first foreign guest comes. He only speaks English and asks if he can call Hyori emo? She is all like, NOOOOOOO. There are customers for awhile so Hyori and SS think of going on vacation. They tell Yoona she can stay there as Rapunzel. Oppa sleeps for 2 days and Hyori draws him. I just realized Yoona started to be her usual self in this ep. Previously she seemed so solemn, but it’s understandable… The show started filming not too long after her long-time friend Jonghyun took his own life. It’s a relief to see her heal through the show as well. Oh. I didnt know Jonghyun was Yoona long time friend. When I watched the show earlier in the season I seems to have a feeling that she is getting over something and she looks like she might had gone to sleep crying. But later on she seems a bit cheered up.